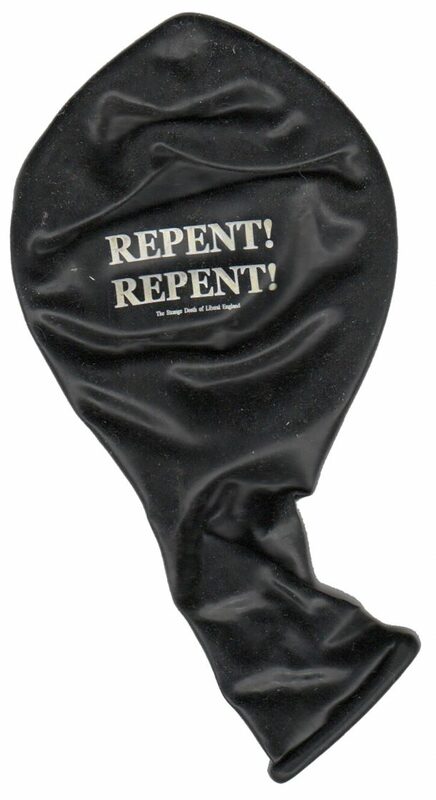 Black balloon with ‘Repent! Repent! The Strange Death of Liberal England’ in white print. An official, promotional only item. Please note: it is not adised to blow them up as the rubber material has aged and may pop.